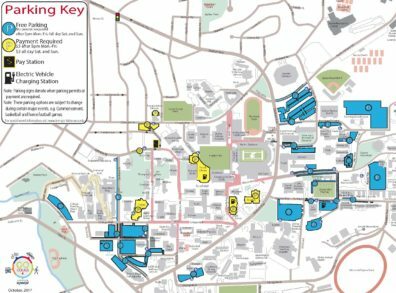 There are on-site pay garages and meters located throughout campus. By choosing one of these options, you only pay for the time you stay. Daily permits can be purchased online, at the Visitor Center, or at the Transportation Services building located on the corner of Colorado and D Street. Some parking lots do not require permits for the evenings and weekends, or require a flat-rate payment that can be done on-site or at the Visitor Center. Persons with disabilities that have special parking needs can click here to find out more about accessing available services. There are also many alternate modes of transportation to get to campus such as public transit, walking, biking, etc. Parking is enforced 24 hours a day, every day, so please make sure you park legally. After 5:00 p.m. some Parking Zones do not require permits. Areas where permits are required 24 hours a day include Disabled Parking Spaces, Service Access Spaces, and Fire Zones. Some zones require permits at all times. 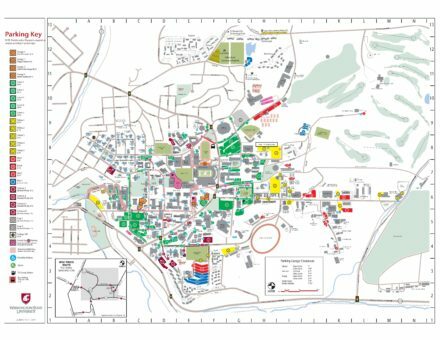 These zones include but are not limited to: Gray, Crimson, and select Green Parking Zones. You can recognize these areas by the signs that say: “Permits Required At All Times” at the entrance to the parking lot. If your vehicle becomes inoperable, call Transportation Services at (509) 335-PARK to have your name added to the Inoperable Vehicle Log.